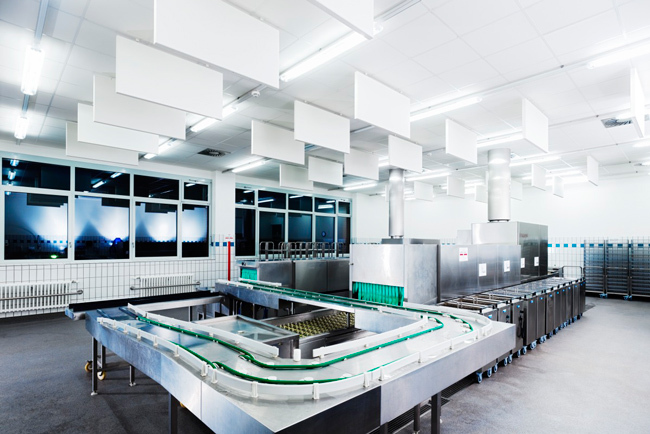 The industrial sector is one of the most common areas where noise is a problem. 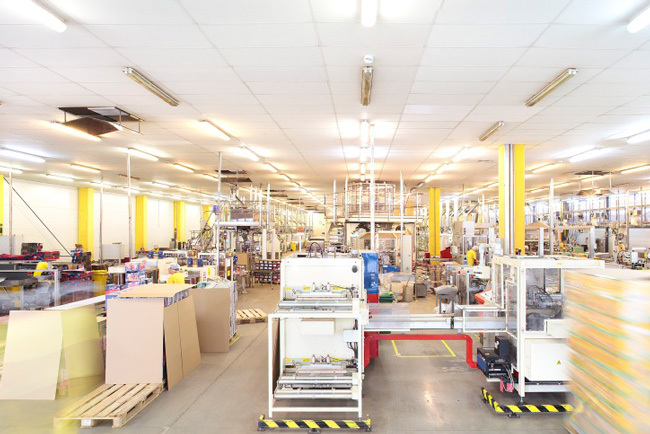 Factory and manufacturing environments are generally large, comprised of hard surfaces and high ceilings; and contain production equipment that emit a large amount of harsh noise. These factors combine to make industrial acoustics often uncomfortable and harmful. With loud noises from machinery amplified by highly reflective surfaces, industrial noise can be a serious issue that not only affects the wellbeing of staff, but one that is likely to breach health & safety regulations. Strict regulations are set by The Health and Safety Executive (HSE) to ensure that workers’ hearing is protected from excessive decibel levels. Temporary or permanent loss of hearing, acoustic trauma and tinnitus are all forms of hearing damage caused by prolonged or sudden exposure to loud noise at work. Strict regulations are set by The Health and Safety Executive (HSE) to ensure that workers’ hearing is protected from excessive desibel levels. The Control of Noise at Work Regulations 2005 limit 85 decibels as the level at which employers must provide hearing protection and hearing protection zones to workers, and 80 decibels the level at which employers must assess the risk to workers’ health and provide them with information and training. 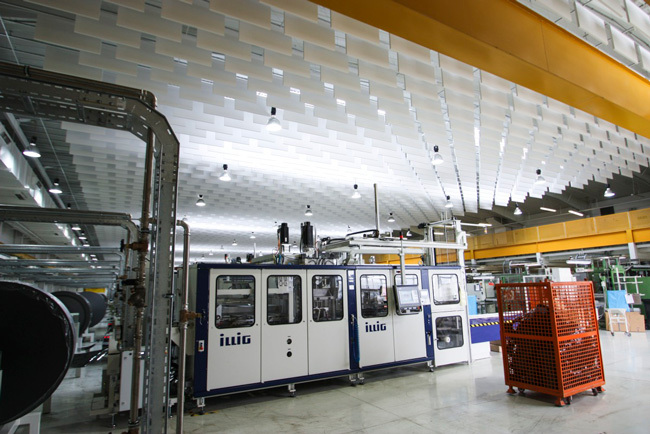 Without acoustic treatments, manufacturing settings are particularly susceptible to noise surpassing these levels. Employers must assess risk to workers’ health and provide training. Level at which employers must provide direct protection to workers. Temporary loss of hearing, permanent loss of hearing, acoustic trauma and tinnitus are all forms of hearing trauma caused by prolonged exposure or sudden bursts of very loud noise at work. If an employee suffers from any form of acoustic trauma, an employer could not only be found to be in breach of HSE guidelines but they could also be liable to compensation claims from the employee. Both are potentially damaging financially and reputation-wise. As well as the risk of permanent hearing damage, excessive decibel levels in the workplace can cause a range of health and wellbeing issues for employees. In cases where hearing protection must be worn, feelings of isolation and discomfort are often reported. Excessive noise on a constant basis also causes fatigue and stress which in turn increases staff turnover and sick-leave – both of which have a negative effect on profitability. Clear communication between staff and the ability to hear important announcements are implicit in providing a safe working environment. Many industrial work settings present a higher number of safety risks due to the machinery and tools required to undertake work in these environments. Therefore it’s even more crucial in these settings that acoustic controls are in place to allow for effective communication. The fatigue and lack of centration that excessive noise causes undoubtedly has an effect on workplace productivity. Add to this poor communication, high staff turnover, persistent cases of sick leave and stress and together you have a recipe for an unproductive work environment where poor acoustics has become an environmental stress.